Journey to the second largest island in the Med and experience modern-day culture merged with historic ruins, world-class cuisine, and glamorous beach towns aboard a 7 day luxury yacht charter. Sardinia is situated in the middle of the Mediterranean Sea, just south of Corsica. Its landscape is a peculiar mixture of low-lying mountains, millenary forests, dry desert areas and marshlands. Wildlife such as deer, horses and rapacious birds roam the terrain. This is the land of the yachting elite, where luxury and comfort are as ubiquitous as its rich history and local traditions. The high caliber of service and substantive display of wealth is what lures many of the world’s most lavish superyachts, including those available for charter each summer. These charters offer a wide range of options to explore Sardinia. 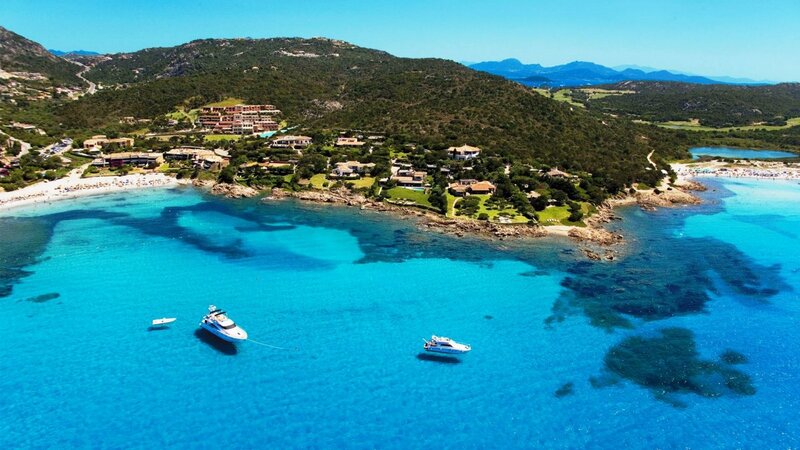 Those looking to bask in the sun and enjoy the island’s glorious seascapes will enjoy the Emerald Coast, also known as the Costa Smeralda. The endless stretches of snow-white beaches sit beneath spectacular mountains that tower above the protected cerulean waters. If you are looking to step ashore, luxury golf, polo fields, private jet and helicopter services are available. Sardinian cuisine is world-class and satisfies even the most demanding palates with their use of simple and natural ingredients and recipes made with the fresh, local products. Seafood lovers will especially enjoy Sardinian dishes as rock lobsters, clams, crabs, squid, anchovies and sardines, among other delights are omnipresent. Many claim the lobsters in Sardinia are among the tastiest in the world. Whether you are here to race in a regatta, dine and shop ashore, or take a refreshing dip in the Mediterranean Sea, a luxury yacht charter in Sardinia is sure to satisfy. Here is our suggested 7 day itinerary to explore the best of what Sardinia has to offer aboard a luxury charter yacht. Contact us to learn more about visiting Sardinia or view yacht charters available in this region. 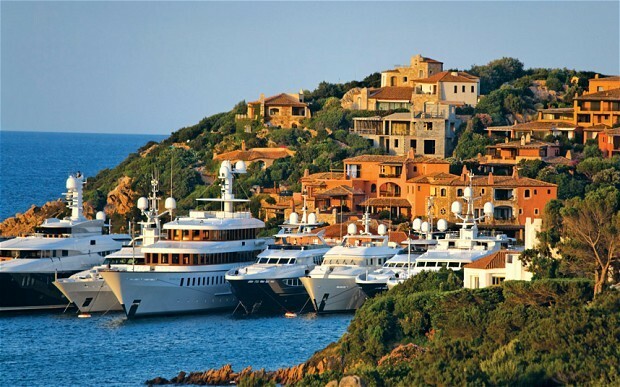 Board your luxury yacht in sunny, picturesque Porto Cervo. Once you’ve settled in we recommend exploring a little and adjusting to the pace of life on Sardinia. Porto Cervo is a hub of activity and has the best shopping on the island. If time permits, golf lovers can enjoy the 18 hole Pevero course. If you are ready to be pampered after your long flight, take advantage of the spa services aboard your yacht, if offered, or at one of the many luxury resorts in town. After a fun day in Porto Cervo you will cruise south to the laid back, resort village of Porto Rotondo. The town is best known for its private bijou beaches. At the heart of the village is the Piazzetta San Marco, where you can find many restaurants, bars, and boutiques. Sit back, relax and enjoy the delicious seafood fare. 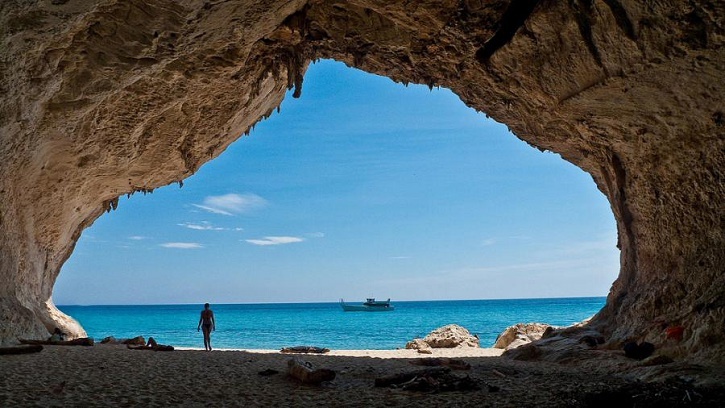 Cala Luna is one of the most beautiful destinations in Sardinia. One of the best ways to see it is anchored offshore, which provides a stunning view of its limestone cliffs covered in lush greenery. 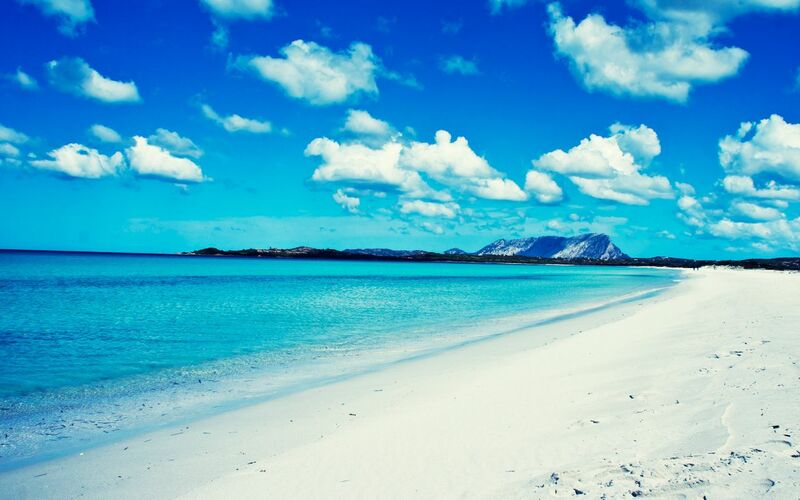 The stunning Cala Luna beach offers some of the best snorkeling on the island. The sun’s rays illuminate rather large caves located along the shoreline. For adventure seekers, you can visit the nearby Grotta del Bue Marino. This huge sea cave has stalactites, stalagmites, an underground beach and traces of neolithic rock carvings. Founded in seventh century BC, the historic town of Cagliari has been Sardinia’s capital since Roman times. The old town is a hilly labyrinth of medieval buildings. Stroll along Via Roma, the main shopping street. Return to the yacht to enjoy the sunset with a cocktail in hand, followed by a relaxing dinner under the stars sampling traditional Sardinian dishes. Next you will cruise along the southwest coast, passing many coves and small villages along the way. You will also pass the islands of Sant’Antioco and San Pietro where the landscape is rugged and the sea is deep. But the thrilling coastline is the main attraction. It stretches from the great untamed sands of the Costa Verde to the cliff-bound coves of the Iglesiente and the seductive bays of the Costa del Sud. 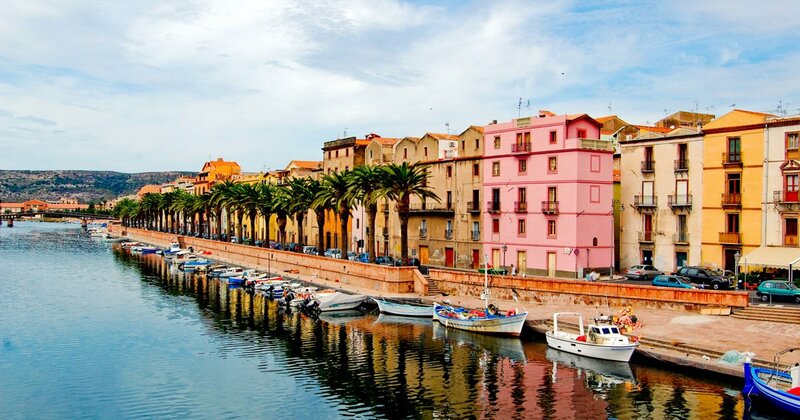 The following day you will cruise northwest to the quaint city of Alghero. The town has a beautiful mixture of Italian and Catalonian influences. 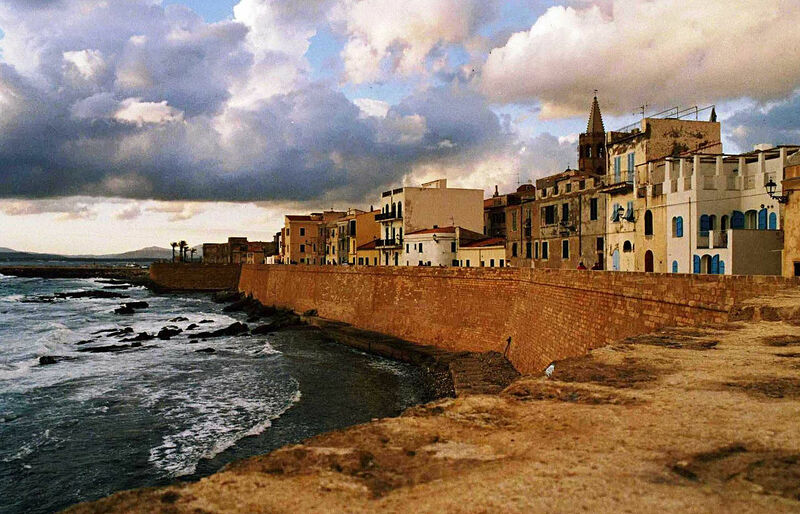 Alghero’s old town features flamboyant churches, wrought-iron balconies, and narrow cobblestone streets. While in Alghero you can visit a nearby vineyard to sample Sardinian wine. Be sure to bring back a bottle or two to enjoy on the remainder of your charter. You can also visit the Grotte di Nettuno to view impressive stalactites and stalagmites. 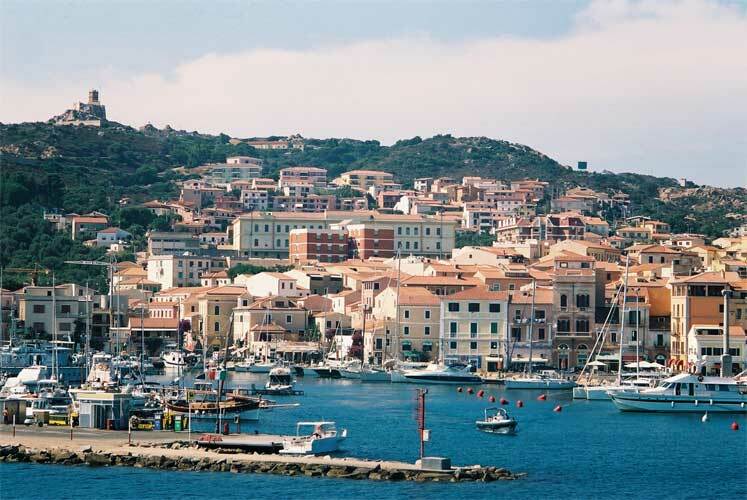 You will end your charter experience on La Maddalena, the principal island of an archipelago off the Costa Smeralda on north-eastern tip of Sardinia. This is a quiet area that feels more like the Caribbean than the Med. Relax on the rocky beaches and take a dip in the warm, aquamarine sea. After a day of peace and tranquility you will take an overnight cruise back to the mainland for an early morning departure home. Our experienced Charter Brokers are eager to arrange a professionally-crewed yacht charter for you. Contact us today discuss your next adventure! Every aspect, from the itinerary to the dining menu, is tailored to your preferences. We guarantee to satisfy even your most discriminating needs, nothing is left to chance and no request is too trivial. We will help find a vessel that will provide the perfect luxury trip in the locale of your dreams.